First of all, let me say that I'm a fan of this series. I truly enjoyed the first few books; the later ones not as much. I believe that Ms. West is suffering from something I've seen in a number of successful writers: they don't know when to shut up. To compound the problem, their editors have stopped editing; it's as if they can do no wrong. Trust me, they can. It is all too easy for a writer to get lost in their own words; their characters take over and will not stop talking. Like the infernal three cats that are Jewel's companions, they just keep talking. And talking. And talking. And while they talk, they are saying nothing of import. A great deal of time in this book of the series is devoted to a magical mess of a place called the tangle. I can't imagine a more appropriate metaphor for a 580-page book that could have, and should have, been reduced to 75-100 pages of good story-telling. But that's the problem: Ms. West has lost sight of her STORY. I spent 20 years on the stage and made my living in theatre as actor, director and ultimately, producer. And when I got in trouble, when I couldn't figure out where my character of show was going, I always, always, went back to basics. WHAT STORY AM I TELLING? I could on at great length about how Ms. West has lost sight of her story, but I'd be doing basically the same thing she did in this book. 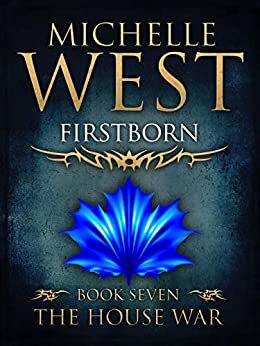 As much as I admire The House War series, and am quite sincere when I say Ms. West has insights to offer, I firmly believe that this book should not have been written as it is, and has almost no place in the storyline of the House Wars. Sorry to be harsh, but this mess deserves it. 3.0 out of 5 starsWe knew it wouldn’t finish the plot line but..
We expected some kind of plot and some kind of climax but we didn’t really get them. 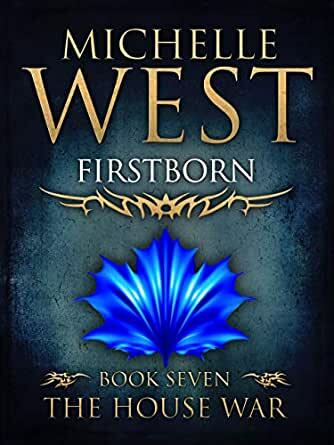 Firstborn and War were meant to be one book but were split into 2 books because it was so long. Because of this, I expected the climax to be anticlimactic AND IT WAS. What I didn’t expect was so much pointless ramble without plot advancement. I am sorry to agree with other commentators that I wish her editor would edit. There was so much repetition and much of the repetition was in quick succession. You’d think you’d be done with a lengthy exposition about something, a few pages would pass and you’d be back to another exposition on the same thing with similar wordings. And honestly, there is just too much time spent on mental musings and not enough on moving the story forward. The author is having similar tendencies with her “Cast in” series. I will buy the last book in this character arc because I want to know what happens. I dearly hope, though, that the characters spend much less time in their heads and that there is much less repetition. Edit, please. Pretty please. This book just doesn't go anywhere except from one mess to another. The characters make no decisions that lead them forward. It's like watching someone walk a tightrope blindfolded. I'm 3/4 of the way through the book and not one thing of the many plot lines is even close to being resolved. I've loved reading this series for years but for the first time I'm considering not finishing one of Michelle's books. I adore Ms. West's writing and her House War and Elantra series. Her worldbuilding is world class and utterly unique. She avoids, mostly in ways that seem effortless,the excesses and tired tropes of D&D Quest/High fantasy to present the lives of ordinary people in extraordinary situations. I always schedule release day as an off day so I can read the book as soon as it's released at midnight. I kept wondering where Avander disappeared to. I wanted to skim past the Coralonne/Calliastra and the Tangle sequences. Also the Caver/Ellerson parts. As in Oracle, the interesting parts were back in Averalaan. So I agree with much of what has been said. We waited 3 3/4 years for this book. We know Ms. West writes long. But I kept asking myself what was the point for the Jewel sequences and the whole Carver thing. Though wIth the Carver thing, Jewel having to chose the many over the one is part of her character arc - a bIg part. But none of what's in this needed 580 pages to get get it done. A good editor would have enabled Ms. West to make the necessary excisions. But we didn't get that here and we didn't get it in the Jewel sequences in Oracle. The ratio of talking to action is too skewed and often seems repetitive. So the book gets an okay and a suspended judgment until I read War. I just wonder how long the End of Days will take in all ways (please God, not another 4 years) and whether Ms. West and her editors will learn from history. It took almost four years to get this book, and I think the four month wait for the next may drive me crazy. Characters I’ve followed for two decades are still a revelation. There is growth, and change, and not a single word of filler. At times, the book is written like a fever dream; at others, it’s as real and immediate as a very bored cat. I’m not going to discuss plot points, but there are parts written from the point of view of characters that have been there for years, but always a bit of a cipher. There are moments of humor, wonder, and something that sadness approaches. FIrstborn reaches inside and rips out your heart, and it’s a glorious pain.